Bithumb, South Korea’s largest cryptocurrency exchange plans to cut its workforce by up to 50 percent, according to a report issued on Monday. This move would reduce its workforce from 310 at the beginning of March to around 150. Apparently, employees were cut in an effort to reduce costs and better align with the industry’s pace of growth. The report also mentioned that the exchange decreased staff after the volumes of trading had fallen. A spokesperson for the company claimed that most employees who were laid off already wanted to leave the company. In addition to a prolonged crypto winter, Bithumb had its fair share of difficulties, even after obtaining a license to operate in South Korea after a three – month investigation by the authorities. In 2017 and 2018, Bithumb also suffered from numerous hacker probes. For the funds used to compensate customers, the exchange recorded an estimated written down of $40 million. But it should have gained $70 million in the third quarter of 2018, excluding losses incurred due to the security breach that occurred in June. In laying off large numbers of staff, Bithumb joins other heavy hitters like Dash, Steemit, ConsenSys, and Shapeshift, that’s indeed right. The company behind cryptocurrency project Dash said earlier this month that it is also reducing its staffing levels in a cost-cutting effort brought on by the “crypto winter.” Similarly, since the beginning of the year, smart contract auditing company Hosho has said it is laying off 80% of staff. With that, the blockchain project Nebulas has cut numbers by 60%. In this case, at least Bithumb seems to provide the employees that leave the company with some support. Most companies only dismissed their workers, and ConsenSys emailed their employees to announce their termination on Friday night. Steemit cut 70 percent of employees in an extreme measure to keep the company afloat after the cryptocurrency price crash tanked Steem’s tokens value. The currency is the social media platform’s lifeblood, and the company admitted being over-dependent on its valuation of the token. With the industry’s largest companies hit massively, it seems none are safe from the ongoing problem. Cryptocurrency volatility was both a blessing and a curse for exchanges like Bithumb. It attracts traders who try to capitalize on huge fluctuations in prices while providing an extremely shaky base on which many promising enterprises are unable to build. Nonetheless, with the launch of its own global decentralized cryptocurrency exchange (DEx), South Koreans largest crypto trading facility has recently expanded its offer. The announcement comes from popular crypto exchanges in recent months, including Binance, in the heart of similar initiatives. 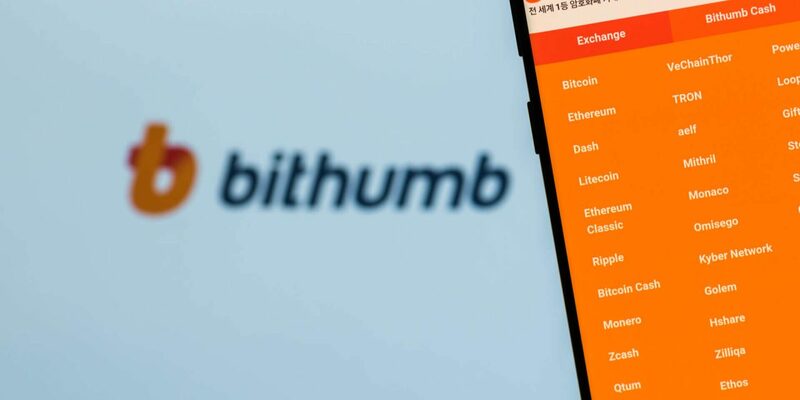 With increasing regulatory pressure on operators of cryptocurrency, Bithumb is moving to a decentralized environment through an international subsidiary to avoid local restrictions.